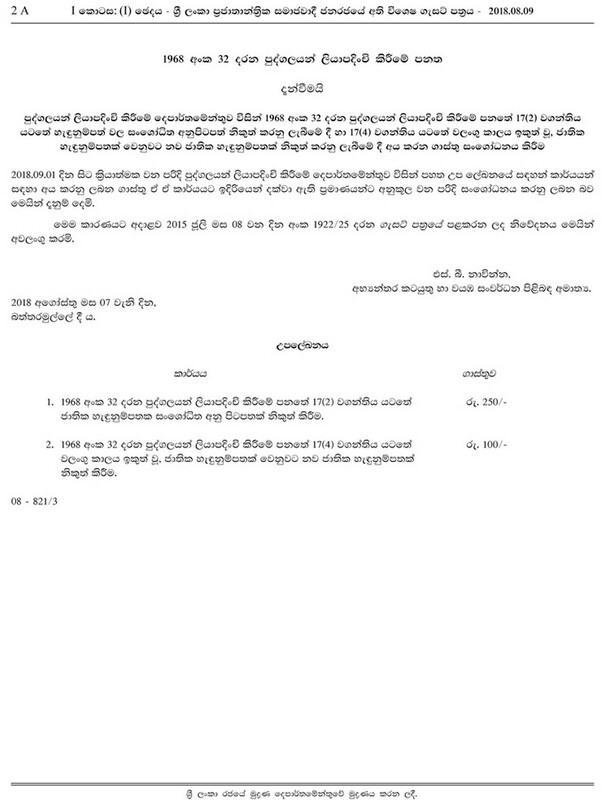 According to Government Gazette dated 2018.08.09 a sum of Rs. 100 from first time applicants for a National Identity Card. This decision will come in to effect from the 1st of September 2018. 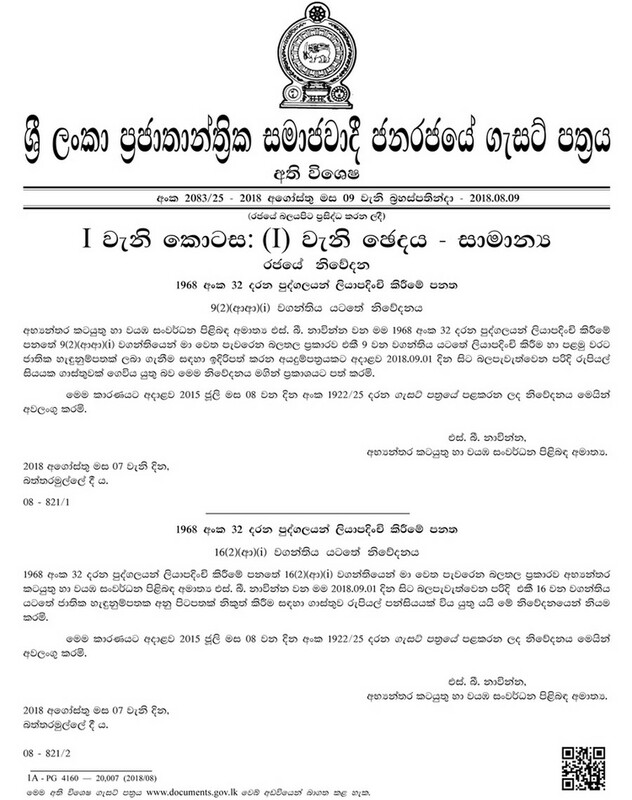 The Ministry of Internal Affairs and Wayamba Development issuing an Extraordinary Gazette states a fee of Rs. 250 will be charged from the 1st of September for the issuance of duplicates of amended Identity Cards under the Registration of Persons Act. In addition, a fee of Five Hundred Rupees would be charged in respect of the duplicate of an Identity Card.